FPE publishes a wide range of knowledge resources generated through its more than two decades’ worth of experiences on the fields of conservation and development. These materials range from BCSD case studies and best practices, policy papers, and reference guidebooks to annual reports and newsletters. 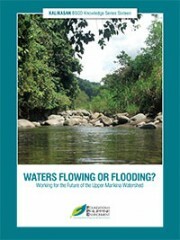 Also available are publications from project grants supported by FPE. FPE Annual Reports contain overviews of grants supported, special projects administered, partnerships fostered, and key institutional activities pursued for a given fiscal year. It also comes with the audited financial statements. 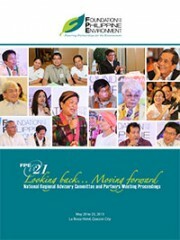 Kaalamang Likas Yaman (KALIKASAN) is a publication series that presents the results of FPE-supported resource and socio-economic assessments, case studies, best practices, and other BCSD-related initiatives. 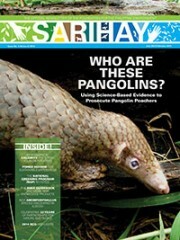 Sarihay is FPE's bi-annual newsletter, coined from the Filipino words “samu’t saring buhay” to describe biodiversity. It features the strategies, experiences, and lessons of FPE's network of field practitioners and partners. In this section, readers can find comprehensive documentation of major FPE events, including those of the various workshops, forums, and conferences supported by the Foundation. 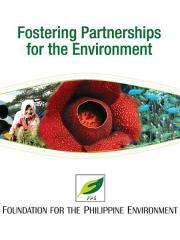 A collection of publications from FPE-supported project grants that covers BCSD subjects such as watershed management, marine and wildlife conservation, climate change, and other related topics. A selection of miscellaneous publications related to FPE's operations and services. 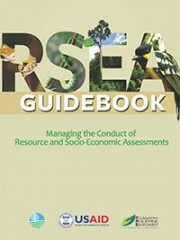 Access research reports, policy briefs, and FPE brochures, fliers, leaflets, and other easy-access reference materials here.